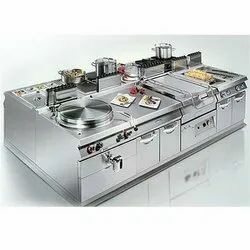 Manufacturer of a wide range of products which include commercial kitchen equipments. We are one of the leading manufacturers and suppliers of Food Processing Machines. Offered machines are highly acclaimed among the clients for their excellent performance and hygienic processing of food. Looking for Kitchen Equipment ?